I have to admit to being something of a snob when it comes to adding pre-World War II cards to my collection. 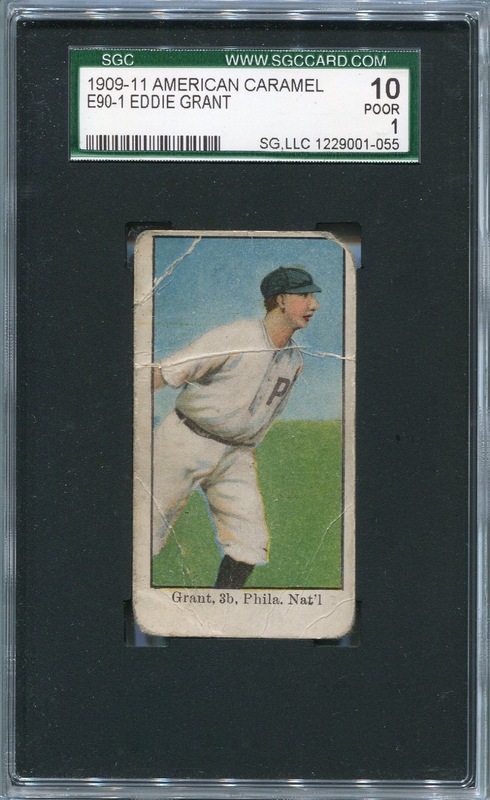 When given the choice, I will always take a card graded either PSA 1 or SGC 1o over any card that receives an “A” grade, no matter how much nicer the appearance of the card merely graded “Authentic.” The funny thing is that I know it’s a form of snobbery that isn’t necessary adhered to in other forms of antique collecting; lots of people have no issues with buying restored/rehabilitated antique furniture. However, I, like many other baseball card collectors, am very picky about this; I just don’t want a card that underwent restoration techniques — if for no other reason than the act was most likely born out of an attempt to defraud a collector. 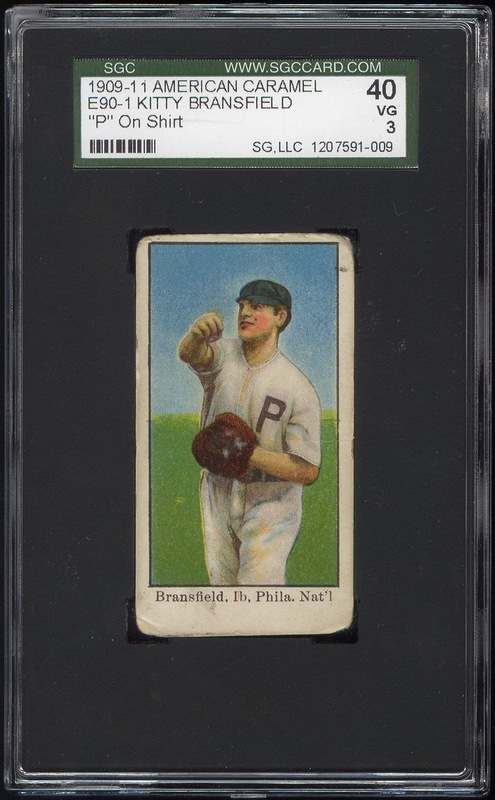 Given the rarity of so many of these strip cards, my desire to acquire as many Phillies cards as possible, and the constraints of my budget, something had to give. Last week, the dam broke, and I purchased my first strip card bearing an “A” grade. I’m going to continue to avoid doing so as much as possible in the future — and my intention is to refuse to purchase such cards if the grade appears to be to trimming or some other form of alteration to a card that wasn’t of the strip variety. However, while I’d hate to change my mind on this matter, I may not be able uphold that standard. The fact is that many of the other issues from the first couple decades of the 20th century are completely out of my price range unless I get ridiculously lucky in an eBay auction, as I did with my 1909-1910 C.A. 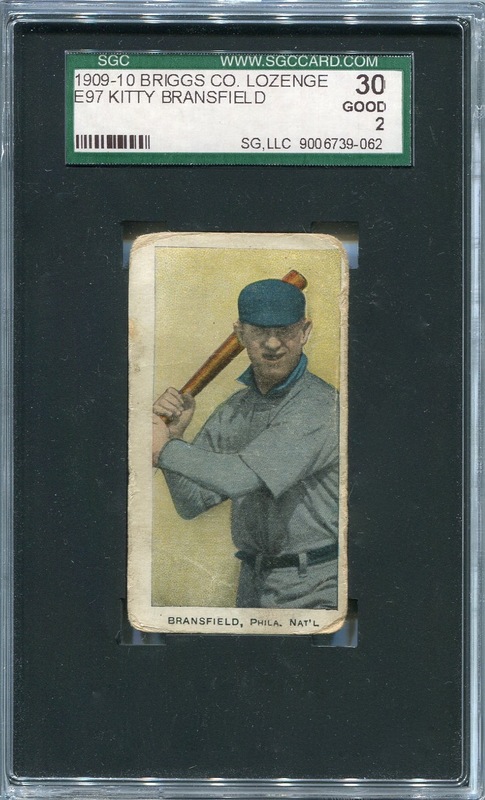 Briggs (E97) Kitty Bransfield card. The fact is that somewhere down the road I may just have to accept a card that received an “A” grade for unpalatable reasons. But, that day isn’t here yet, and there’s always a chance I experience the same bit of luck that allowed me to acquire the C.A. 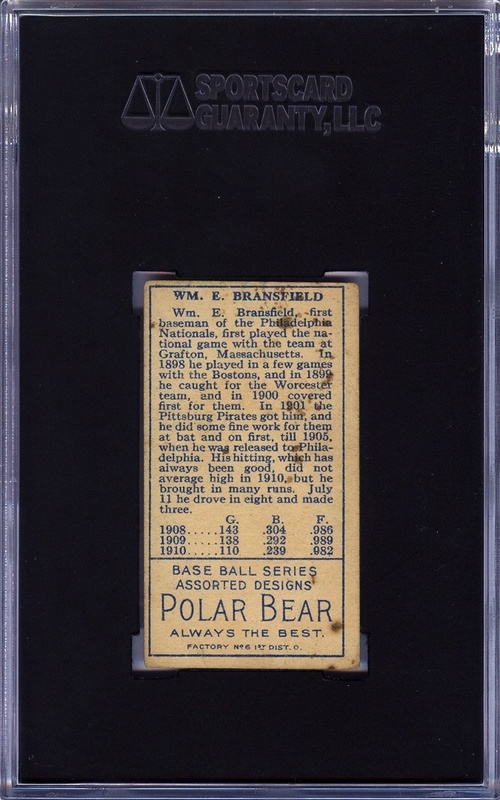 Briggs Bransfield card. 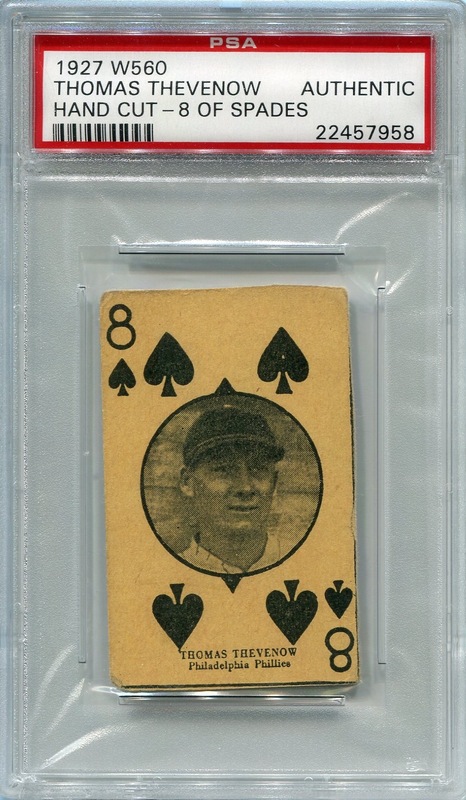 Until then, it’s almost certain that I will allow other strip cards bearing the “Authentic” grade in my collection. Hopefully, I can keep that number to a minimum. Additional Information: Although both Beckett and SCD employ the same numbering system, which assigns numbers after listing all the players in alphabetical order by last name, SCD lists one additional card in the set, which creates a mismatch in the numbering assignment. The SCD numbers are used below. 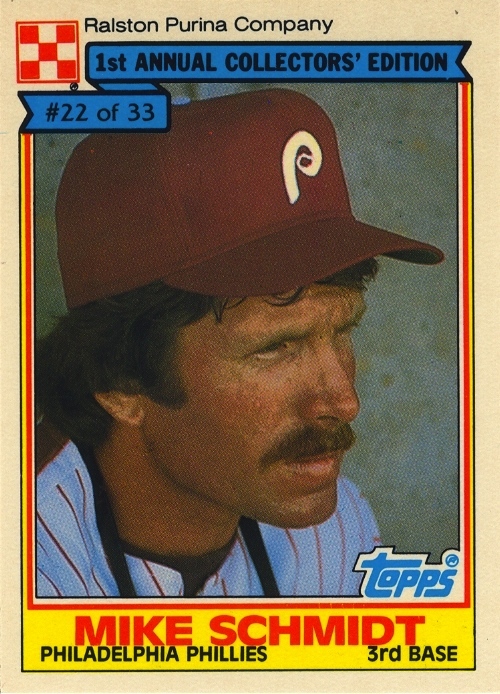 The fact that he never actually played for the Phillies makes the Fred Clarke error a debatable inclusion in the checklist. After completing my post yesterday and reading a post inspired in part by it on The Phillies Room, I realized that there was a lot more I wanted to say about collecting and the decisions I made in terms of what constitutes a complete collection. The fact is that even team collectors can differ on what the term “comprehensive collection” actually means. The obvious meaning is literal: one of everything. However, I believe that very few, if any, individuals possess the resources to actually assemble such a collection for any team, and this has been true for long before the advent of parallel cards as we’ve come to know, understand and possibly even despise them. Before the term “parallel card” even existed, I subconsciously understood what they were and immediately developed an apathy toward them. In the spring/summer of 1984, Topp s produced a 33-card set for Ralston Purina, and I attempted to collect them all. However, in the process of doing so, I discovered that Topps essentially reused the set to create the Topps Cereal Series. Rather than track down both sets, I was happy to merge the cards from the two sets together in an effort to create a single set. It didn’t matter to me that they were technically different sets; the photos, numbering and basic design were the same — to me, they were the same set. My attitude continued when Topps introduced its Tiffany set and reprinted its entire base set for Nestle — they barely registered on my radar, and to this day, I have never owned a single card for either of those sets. They are utterly superfluous to me. Although parallels as we’ve come to call them have only existed for roughly 20 years, they’ve actually been around for a century. 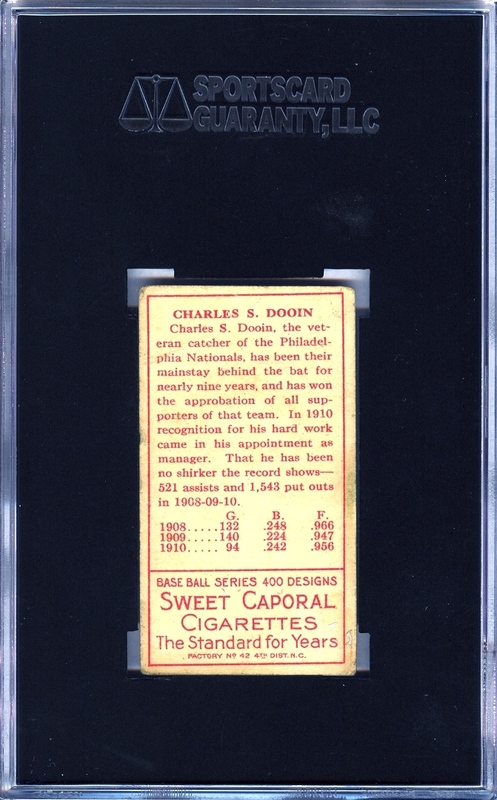 The original parallel cards are the tobacco issues from 100 years ago. All the talk about differing Piedmont, Old Mill, Polar Bear, Sweet Caporal and Tolstoi (just to name a few of the brands to issue T205, T206 and T207 cards) backs only minimizes the fact that these are all essentially the same card — the only difference is the color of the ink on the back and the name of the tobacco brand. Even though no one refers to them as parallels, that doesn’t change the fact they are. But, the American Tobacco Company wasn’t the only perpetrator issuing parallels before they became a staple of baseball cards. 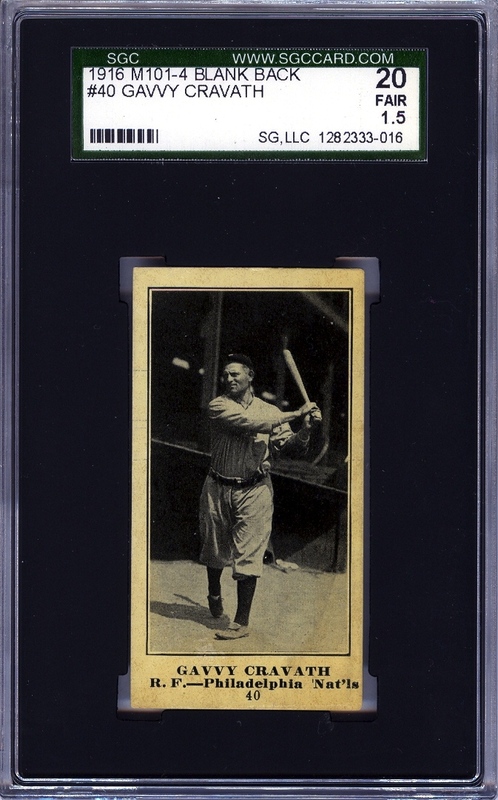 According to the Sports Collector Digest 2011 Standard Catalog of Baseball Cards, no less than eight different variants on the M101-4 and M101-5 sets exist. For this, we can thank the original manufacturer, Felix Mendelsohn of Chicago. By originally creating the set as a blank-backed issue, alternate versions of the set could be reprinted with advertising on the back for the company that wanted to distribute it. That’s exactly what Famous and Barr Clothiers, Gimbels, H. Weil Baking Co., Holmes to Homes Milk-Made Bread, Morehouse Baking Co., The Sporting News, The Standard Biscuit Co. and Ware’s did. Same pictures, same front design, same checklist… only difference is the back. Sounds like parallels to me too. 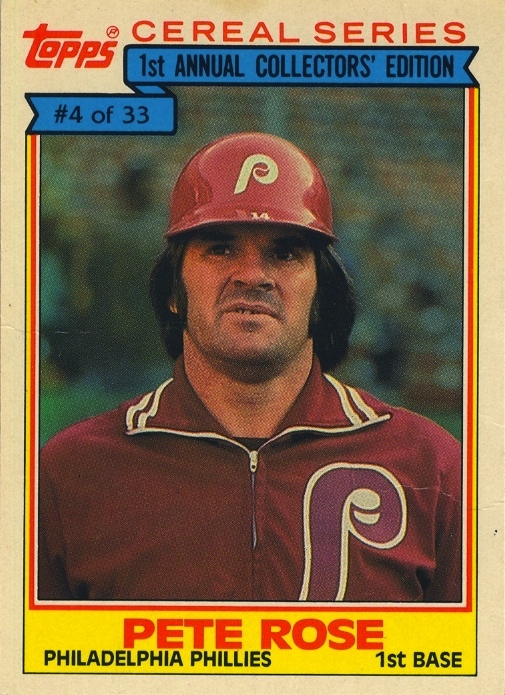 Here’s the thing: even when I was working at building what I deemed the most comprehensive Phillies collection possible, I had no interest in getting every single variant of a particular card. 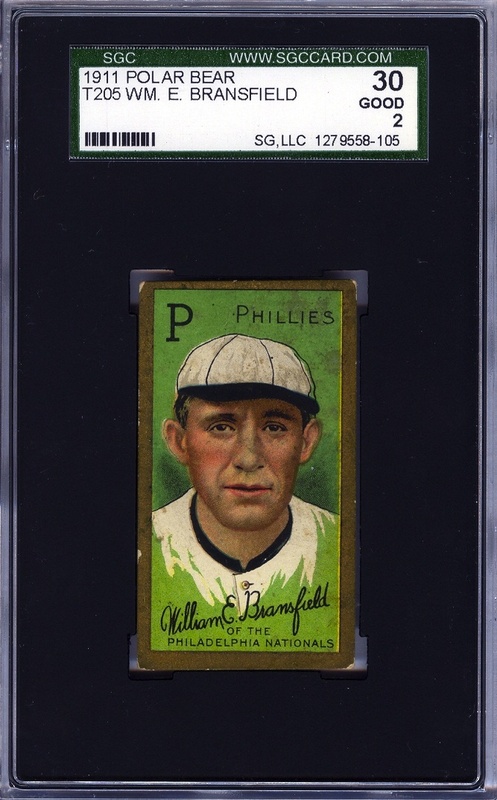 If I acquired just one of card of a Phillie in the T206 set, it didn’t matter to me what brand was on the back. Mind you, my attitude changed with recent parallel issues. Because I wanted to the team sets to look as uniform as possible, I very rarely purchased parallels. Yes, some did filter their way into the collection, but when it came to displaying team sets, the shinier, gaudier parallels always played second fiddle to their basic brethren. Did this make my collection less comprehensive? I guess that depends on whether or not the person asking the question feels that you need to acquire as many parallels as possible for the sake of completeness. There have been some exceptions to the rule, however, but in nearly every case the exceptions are notable for very good reasons. I’ll cover a few of those in my next post. 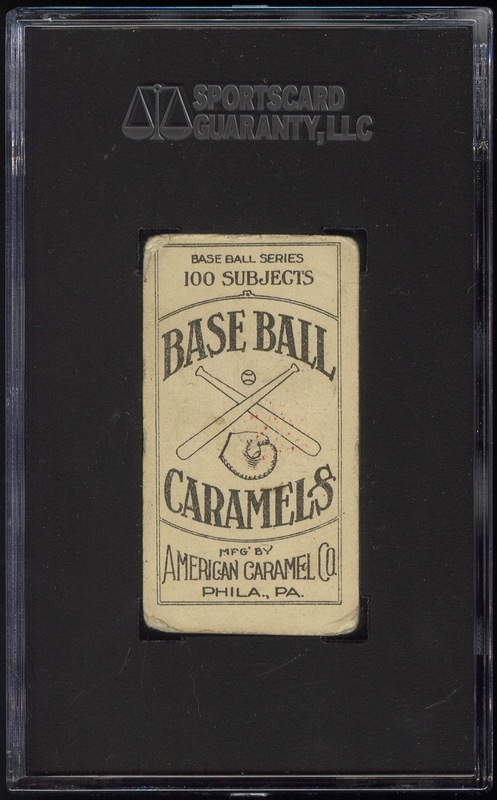 Quick non sequitur: I’m actually a multi-faceted geek, so adding a title that sounds like the name of a Star Trek episode (you pick your favorite series) to a post about baseball cards actually amuses more far more than it really should.